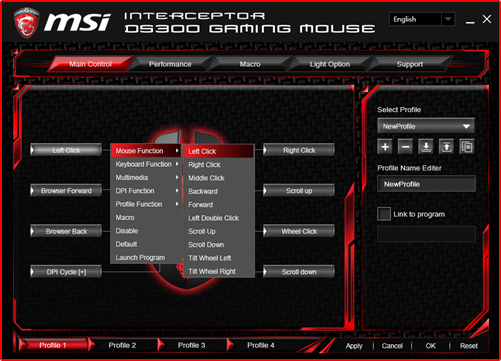 Four profiles for games, including DPI settings, backlight settings and macros. 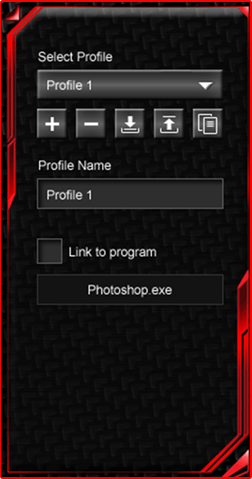 Gamers can create customized profiles that automatically load when activating programs linked to that profile. 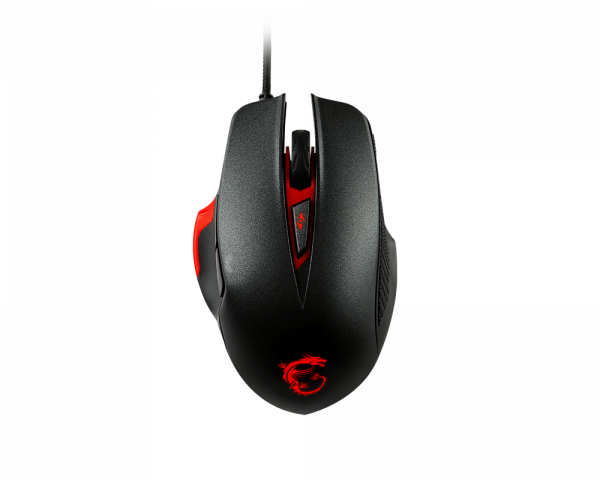 - Pre-define up to four DPI settings from an extra low 100 DPI to extreme high and precise 8,200 DPI, set your own DPI for your favorite games. - Define resolution separately for X (Horizontal) and Y (Vertical) Axis. 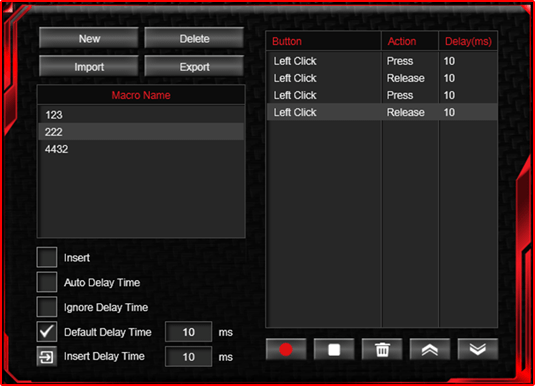 Macro function for recording short sequences of mouse actions for automating frequently used commands or repetitive sequences of mouse movements.